I will start off by saying I'm not a watch collector but I really do like precisely made things. I really fancy getting a watch for my 30th but the choice is endless. I've not had any watch before that I would say was particularly good mainly cheap under £100 stuff that has all broken down and I'm thinking of getting something a bit nicer. I really like the look and style of the omega sea master and gmt master types but just don't have the money for something like that at the minute and don't want to buy something secondhand that is a cheaper model and a let down in the future. I think £500 puts you smack in the 'no man's land' that risks you wasting money, because you're between the two price points - £1k or £200 - that , at the £1k, either starts to give you what you really want (albeit, s/h) or, at the <£200, gives you something perfectly acceptable. The 'no man's land' in between just sees you burning cash that could be saved towards a more expensive choice later. Personally, I'd carry on saving and get a s/h quartz Omega Seamaster (a bit over £1K), but if that's not an option, I would go under £200 and get the most robust Seiko diver I could find. 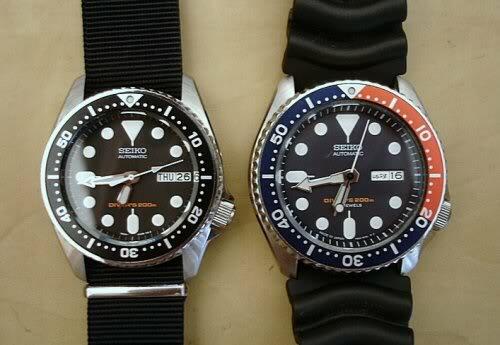 They do a nice mid-size, the SKX013 (on the left). Keep an eye on your local auctions. You can do very well there with a good maker at a good price. The dealer needs to double the price so you can win. 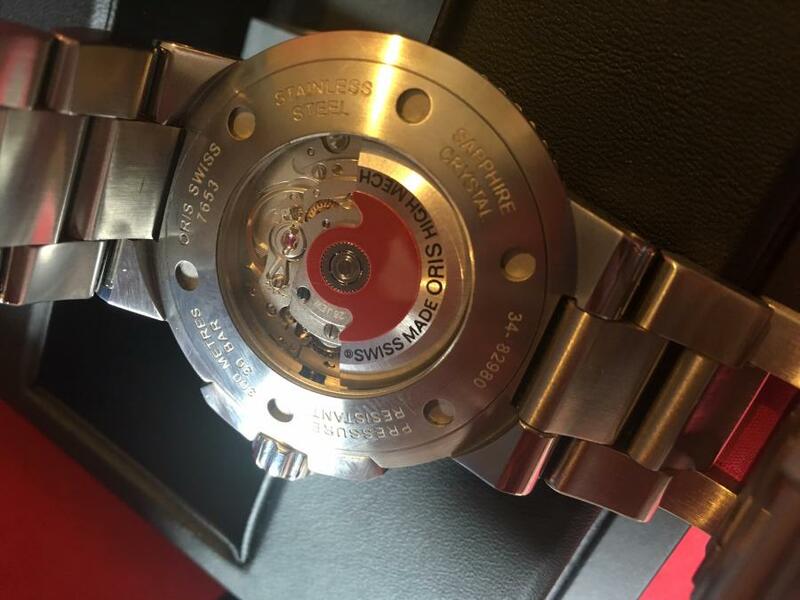 Have a look at Timefactors, Precists RN divers watch is very nice or Christopher Ward. As others have already advised and having been in a similar predicament recently for my 30th I would stick around the £200 mark and get either the SKX007 or SKX009 or one of the Orient Divers, they use in house movements and are great value, you won't be afraid to wear it and the money you save can go towards an Omega or GMT master. If you do want to spend a bit more a lot of the automatics in the £500-1000 mark seem to use variations of the same ETA movement which is reliable. I end up getting a Marathon GSAR in this price bracket which is is built like a tank but have always wanted a GMT so have recently picked up a used Rolex GMT master 2 for my birthday. In hindsight I should have got one of the cheaper divers instead such as the SKX or Chris ward trident Instead of the Marathon and saved some money. I'd certainly look at a decent used omega or Rolex from a reputable jewellers too. I wear a Seiko Divers as an everyday watch and cannot fault it for its plus points, it is a mechanical auto, glows in the dark with a visible weep second hand and shows the day/date. Downside is it is not incredibly accurate and we refer to them as 'Seiko Fuzzy time' in this house. To get over this either take it off at night or remember to adjust it once a week. I would agree with the choice of Omega over many of the vastly more expensive alternatives. I have a Christopher ward, very nice watch! Thanks for the help guys. I think I will continue saving for for something a bit more expensive in the future but in the meantime I think one of the seiko007 would fit the bill nicely. Any idea where they can be bought these days or are they discontinued? Brother is trying to talk me out of the omega anyway as in his opinion if you can't afford a new one than you shouldn't own one but that's another can of worms I think. Have a look at Nite watches. Made in Christchurch Bournemouth, Swiss quarts movement or Automatic. My Quartz is spot on accurate. Thanks guys, some great suggestions here. I do really like the longines hydroconquest with the blue dial but only the Quartz is close to my budget. Any feedback on longines? Thy seem to get good reviews from what I have read. I would ideally like an automatic but I'm worried that only wearing it on weekends that it may not be practical? Longines are very nice for the money. There's nothing wrong with quartz, but a mechanical watch just has more 'soul'. They are fine over a weekend, but if you are worried about them losing the odd second, just get the free Emerald Time app on your phone to set the time. If you like blue-faced watches, check out the Kemmner Turtle-blau, the Seahorse-blau, or the Seiko Sarb 065 'cocktail time'. The latter are only sold on the Japanese market, but you can easily pick them up from places like Creation Watches. My two pennies worth I would stay well clear of any quartz watch far too expensive to have the batteries changed around £50 pounds from a decent watch repairer or 80 to 100 going back to the manufacturer both being guaranteed and waterproofed to the original spec. There are some bargains to be had on ebay but do your homework there are a lot over very good fakes. For £ 500 you should be able to get a decent Oris automatic but be very careful with Omega as the probley the most fakedas the other chaps said you can't go wrong with Sako for the money. I would "third" Christopher Ward. They have a "story", are superb value against other "branded" offers and have two or three styles which offer choice. I would also look at www.Watchfinder.co.uk They offer a good choice of recon "approved used" watches with all the papers. Oris is another VFM brand at a good price point and not. Omega's with the faceted glass have going up in value hugely with the James Bond connections and everyone seems to have jumped on this. I'm an IWC and Panerai fan but £500 is not going to touch them. Bremont is another (UK made) brand worth considering but again £500 is on the low side. Hamilton is a relatively new brand into the UK market. Interesting at your price point if you can ignore the F! twerp by the same name !!!! Just thought I should update this as a lot of people have gone to the trouble of making suggestions for me which i greatly appreciated. 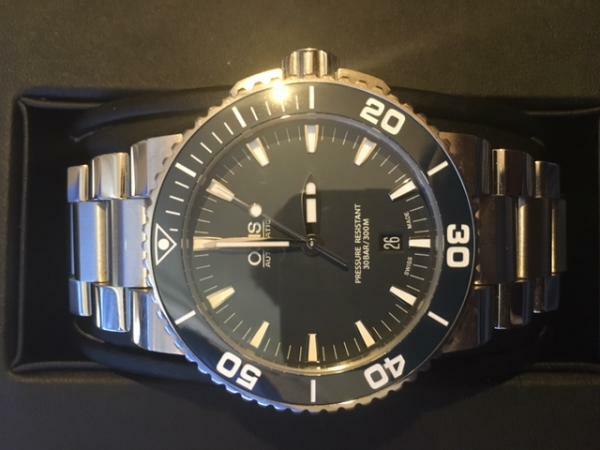 Basically I went to have a look in some jewellers a couple of days before my 30th birthday in the mindset of buying a Seiko or similar for a couple of hundred pounds but thinking if I really liked the longines hydroconquest I might just stretch to it. I tried on a couple of up to date model seikos but I'm not sure what model and really liked them, then I tried on the hydroconquest with the blue sunburst style dial and to be honest I felt the build quality was in another league as is expected with the price difference between them. For some reason I didn't really feel comfortable wearing the longines, I'm a farmer and the watch is really only for good wear and mostly casual clothes and I just felt it was a bit too shiny and blingy for my taste. 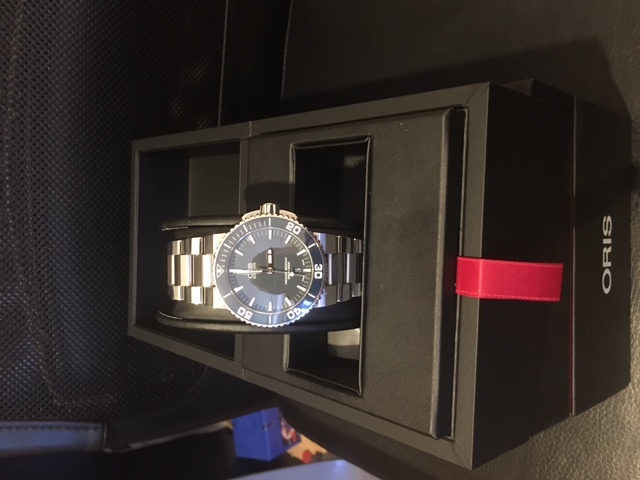 I wasn't really buying a watch Because I wanted people to notice how shiny and expensive it looks because that is just not me. So on I went to the next shop and this time I felt a little deflated as j really liked the hydroconquest when I looked at pictures of it on the Internet but I just felt it was a little too shiny and fancy looking for my taste. It is a gorgeous watch but just not for me. in the next shop however I noticed a selection of Oris watches which my eye was immediately drawn to. 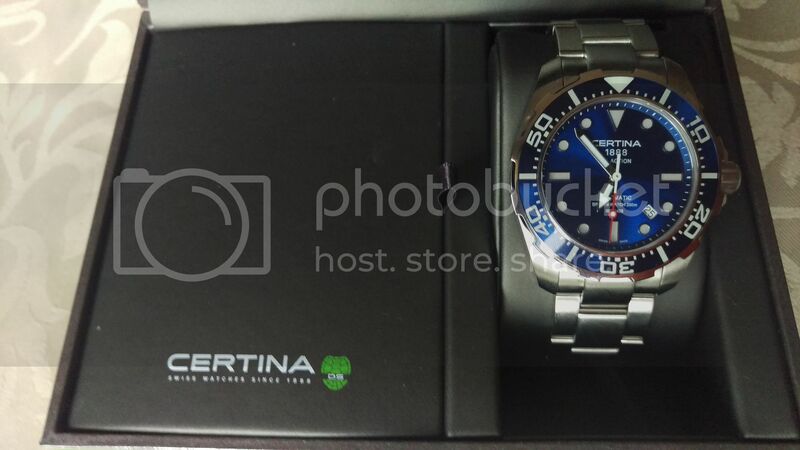 After looking at the price I was a bit unsure if I should try one on or not but I did and really liked the Aquis date with blue dial and blue ceramic bezel. I really liked the fact that it is a nice blue colour but not as shiny as the longines then when I turned it over and saw the transparent case back I was sold, I know it doesent have a particularly exotic movement but it made me smile every time I turned it over. I purposefully made the decision to go home and think about it as £1200 for a watch is a huge amount of money for me to be honest. I thought about it for a couple of days then went back and bought it. That was a couple of weeks ago and I've had it on my arm at every excuse ever since almost every day actually. I don't care that it's not an omega or a Rolex because I didn't buy it to impress others . In fact to me that is part of the reason I bought it, I know it is an extremely well made watch that I will hopefully have forever and I really wanted something a bit special that I can say I got for my 30th birthday. Ps I'm not saying People buy a Rolex or omega to show off but I think there is a bit of a stigma attached to buying a Rolex as they are obviously well known as a luxury watch brand, i would say however now that I have bought my first expensive watch I will probably look to buy a classic omega as I think they are gorgeous and have an aspect of history to them that is special. Part of the reason I wanted an expensive watch was as a reasonably young man I feel in a modern digital there are very few items or belongings that will be worth handing on to the next generation when I'm in my later years, everything is just made to use until it breaks and throw away these times which makes me a bit sad. Here are a couple of pics of the watch and many thanks to anyone who took the time to offer advice. Lovely. I think that you have chosen well. That's very smart, care to add any photos of the case back for us to see? A friend of mine has the same model and wears his daily, even worn it air diving, it's taken some proper abuse so I think you made a good choice for a watch to hand down! Here you go .300wm, like I said the movement is nothing exotic but then it wasn't 3 grand lol. Fancy enough to make me happy when I turn it over. 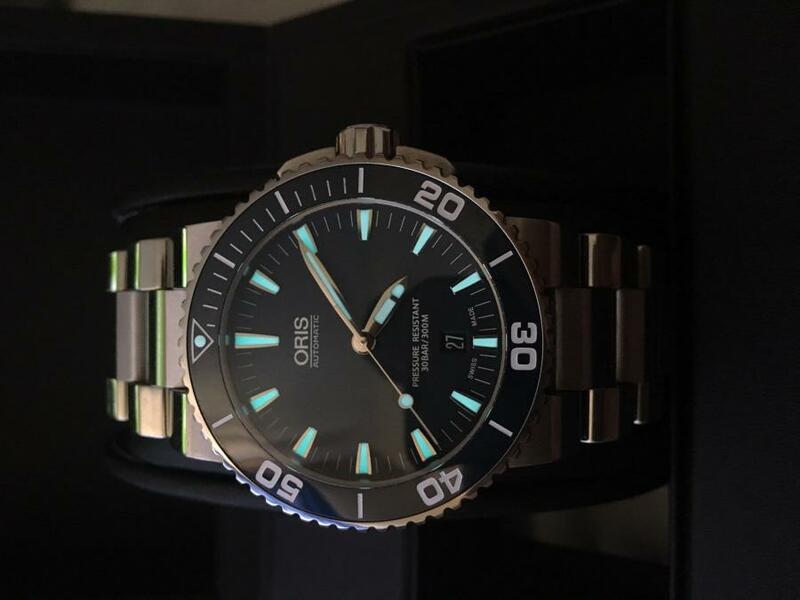 James, I applaud the fact that you have bought what you like and it puts a smile on your face - BUT IMHO Oris is a great product / piece of engineering (I detest the word brand) with an interesting heritage and your choice looks great. Enjoy. I am a lover of such watches and my current seiko is seiko 5 Sports in stainless steel 200 metres. If someone could tell me how to post a photo I would !